There are lots of translators today in Internet. 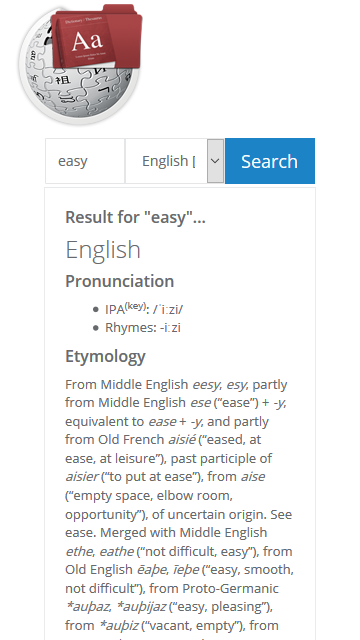 But I was wondering how to draw the line between a translator and a dictionary. It’s simple, translator gives us just the meaning of given word or phrase. But a dictionary is much more informative. It gives us more than a meaning of a word. I can remember how I learn English when I was a teenager. It was really amazing to use a Oxford Dictionary. Even if it was amazing to find a word using a hard dictionary, it was really hard too. 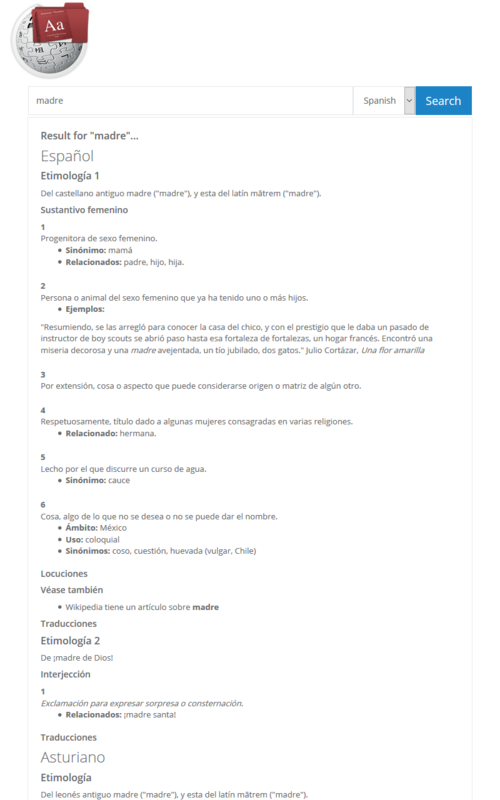 So I thought how to create a dictionary using PHP and MySQL. 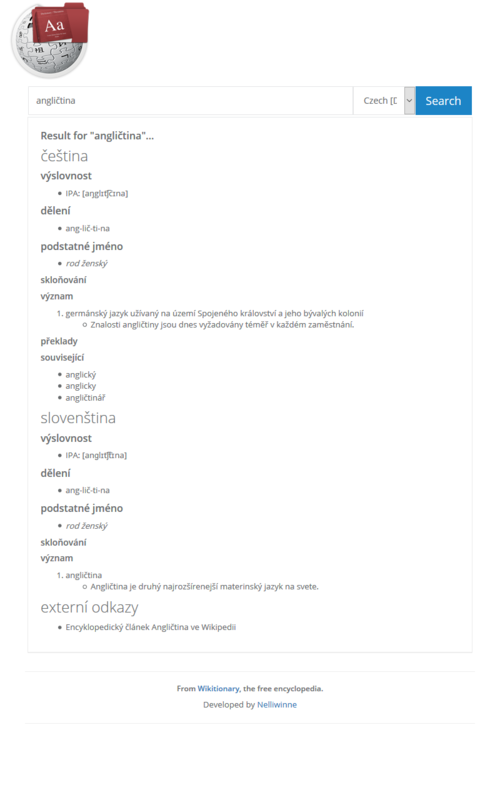 After days of study on the subject I finally understood that using Wiktionary.org is the best way to create a dictionary using their API. Also it does not need any database. 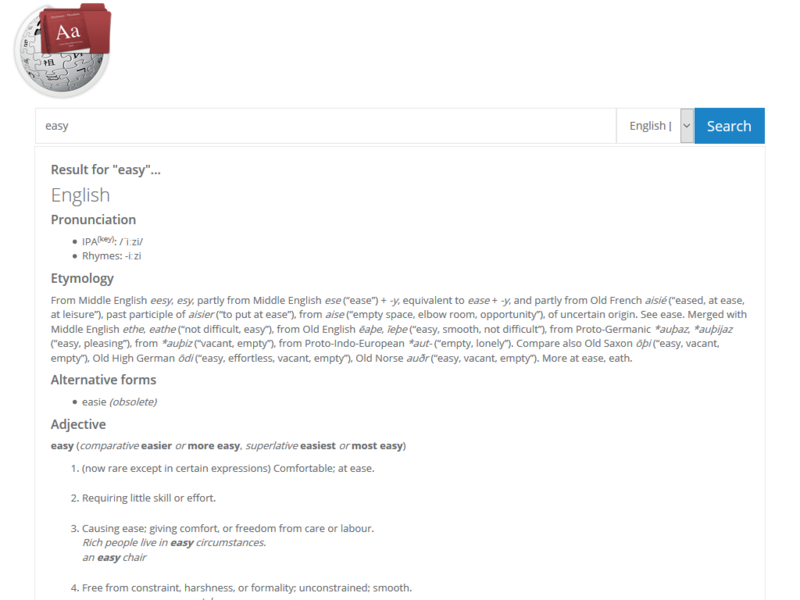 Just PHP can create a nice dictionary in our web site. That was the base to this script. 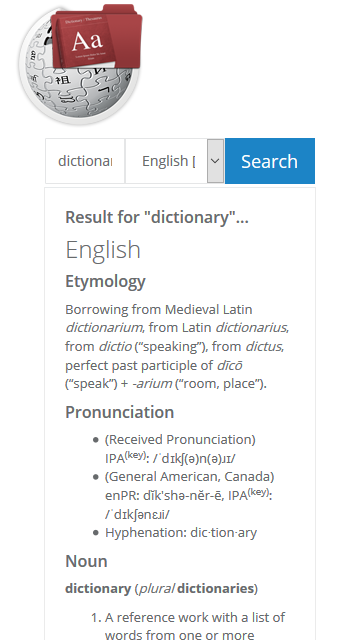 Wiktionary Dictionary is based on Wikipedia API. It gives you to have rich dictionary data on your website or web page. As the API is based on http request based, this script uses CURL command to get information from Wikipedia to a JSON array and manipulate those data in bootstrap based front end. The script is very easy to understand and easy to edit. Even a basic PHP user can handle this script. View Pronunciation, Noun, Usage Noes, Synonyms, Hypernyms, related terms etc.